The center is functioning based on the unique methodology that relies on long-term international experience (Israel, USA, Russia) and at the same time meets the standards of local examination process. Due to interactive methods of teaching, specially-designed educational materials and equipment, school leavers study not only the subject, but also get a comprehensive preparation to the forthcoming exams. What does it mean to be a teacher of Dərs Evi? 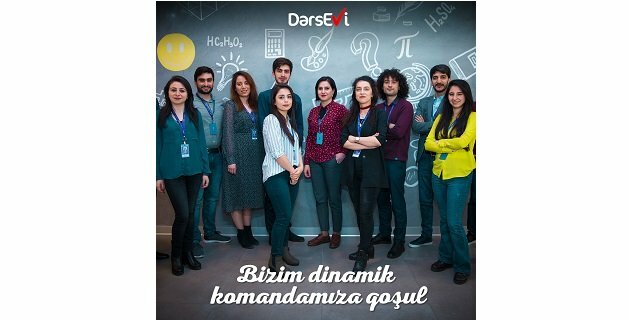 Interested candidates can send their CV to dimteacher@dersevi.az not later than 15.04.2019. Please, don’t forget to indicate “Teacher” position in the “Subject” line of the letter.